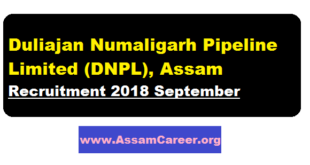 According to the DNPL Duliajan Assam Recruitment 2018, Duliajan Numaligarh Pipeline Limited invites applications for filling up the position of Managing Director & one General Manager in Duliajan Numaligarh Pipeline Limited (DNPL), Duliajan, Assam. The details of the vacancy can be found below. Pradhan Mantri Jan Arogya Yojana is a new Scheme in the Helath Sector which is reluctantly announced by Prime Minister of India. 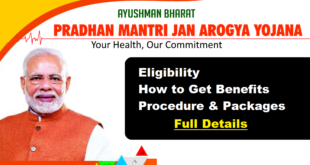 Pradhan Mantri lan Arogya Yojana is being introduced by the Central Government. The Scheme will cover over 27 lakh poor and vulnerable families In the State of Assam based on Socio-Economic Caste Census (SECC) 2011 data. The Scheme will provide coverage upto 5 lakh Rupees per family per year for secondary and tertiary care treatment. 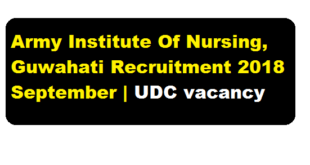 Dr. B. Borooah Cancer Institute Guwahati has published a recruitment notification recently. 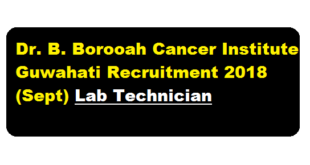 According to the recruitment , Dr. B. Borooah Cancer Institute. Guwahati requires Laboratory Technician to be recruited on ad-hoc basis. Army Institute Of Nursing, Guwahati has published its recruitment notification in the month of September 2018. According to the Army Institute of Nursing Ghy vacancy notification 2018, Army Institute of Nursing, Basistha, Guwahati invites applications from suitable candidates for filling up the post of Upper Division Clerk Post. 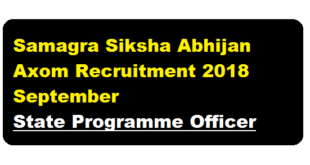 According to the recruitment, application are invited from the eligible candidates not more than 45 (forty five) years of age for the post of State Programme Officer under Samagra Siksha Abhijan, Axom . You must note that this post is temporary and the selected candidate will be initially engaged for a period of 11 (eleven) months only. The detailed info can be found below. According to the Latest Dibrugarh University Recruitment notification, A Walk-in-Interview will be held on 24/09/2018 at 10.30 A.M. in the Bhojraj Seth Conference Hall of the Vice-Chancellor's Office. D.U. 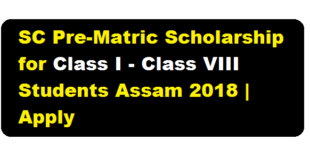 for 01(one) temporary post of Assistant Professor in Mathematics on contract basis in the Dibrugarh University Institute of Engineering and Technology. 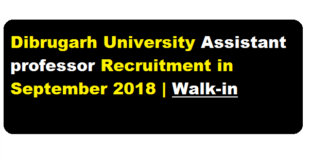 Full details of this Dibrugarh university recruitment can be found below. Organization : O/o Chief Judicial Magistrate, Barpeta. 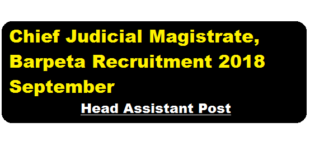 Chief Judicial Magistrate Barpeta has published a recruitment notification in September 2018.Application in the prescribe Standard form are hereby invited from suitable candidates for filling-up the post of Head Assistant in the scale of Rs. 22,000 -87,000/-, Grade pay Rs. 9100/- per month plus other allowances as admissible as per rule in the establishment of the Chief Judicial Magistrate, Barpeta. The details of the vacancy is found below. Dee Bee Commerce & Management College Guwahati has published a recruitment notification in the month of September 2018. 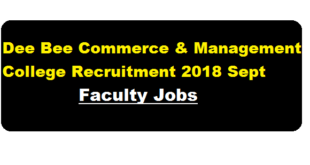 According to the latest Dee Bee Commerce & Management College Recruitment 2018 September ,the college invites applications from eligible candidates for filling up the 02 nos of Faculty posts. Organization : Gauhati High Court. 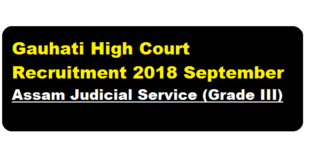 Gauhati High Court Latest recruitment 2018 notification in the month of September has been out. According to the Latest Gauhati High Court Recruitment 2018 September, Online applications are invited till 5.00 PM of 27/09/2018 from the eligible candidates for appointment in 42 (forty two) posts(existing and anticipated vacancy) Grade-III of Assam Judicial Service. The detailed recruitment is discussed below.